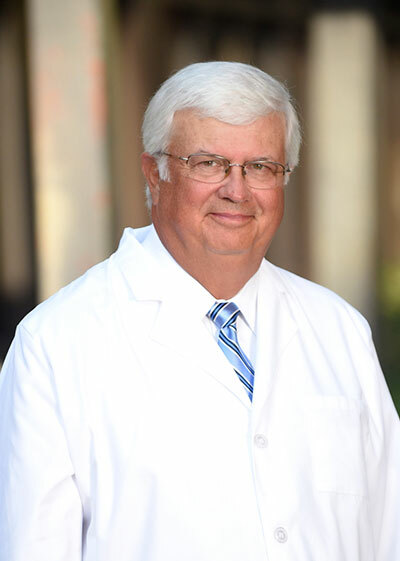 Dr. Norris attended The University of Tennessee and earned both his BS and MD degrees. His residency was completed at the University of Texas Medical Branch in Galveston including additional pediatric training in London, England at the Great Ormand Street Hospital for Sick Children. He is certified by the American Board of Otolaryngology. He started Eastern Shore Ear, Nose and Throat in 1985 and specializes in treating allergy, sinus and nasal conditions. The Tennessee native enjoys spending time with his wife, Jennifer, and their family. He enjoys life outdoors and spending time on the waters of Mobile Bay.